The perfect sentiment for your tree. 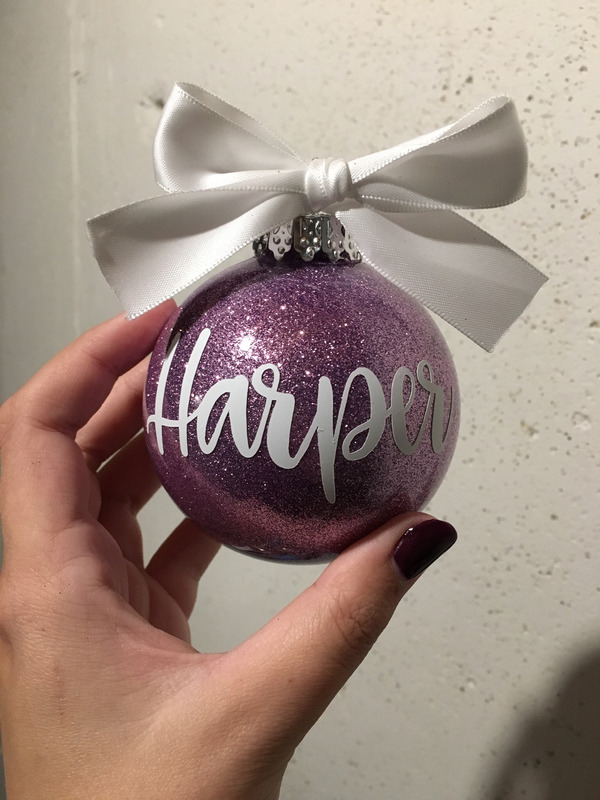 Simple and elegant this ornament can be customized to any name! Select the perfect colour in the options and express your love ones perfectly! The large bulb is 3 1/4” inches and have glitter on the inside. Included is a sturdy gift box with brown swizzle adorned with black and white twine. Please note for 2018 season they are now plastic bulbs.